The 2014 Ford Flex seven-passenger crossover combines power, fuel economy, intuitive technology and driver-aid features in a can't-miss package. 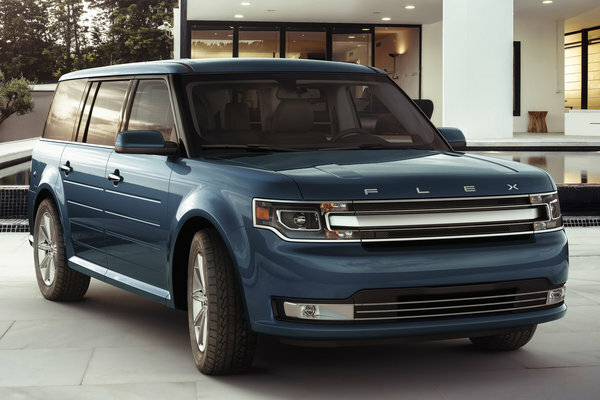 Key features include: The standard 3.5-liter V6 engine in the 2014 Ford Flex features twin independent variable camshaft timing that controls when the valves open and close to improve overall performance. This advanced V6 is mated to an equally advanced six-speed SelectShift(R) automatic transmission, and combine to deliver 287 horsepower and 254 lb.-ft. of torque with an...Read.